On a chilly April night, a man turned up on Lisa Milligan's doorstep with no shirt on. 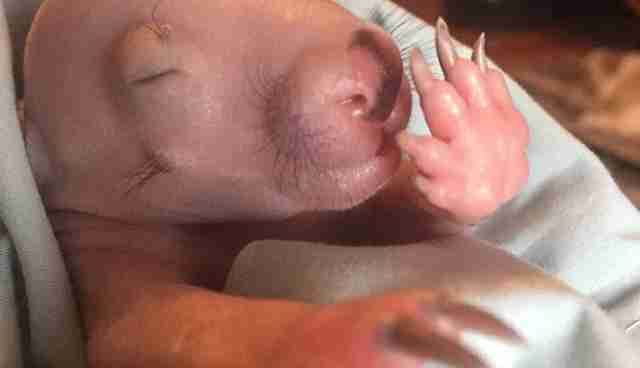 It was wrapped around the tiny wombat in his hands - a baby who weighed no more than half a pound. 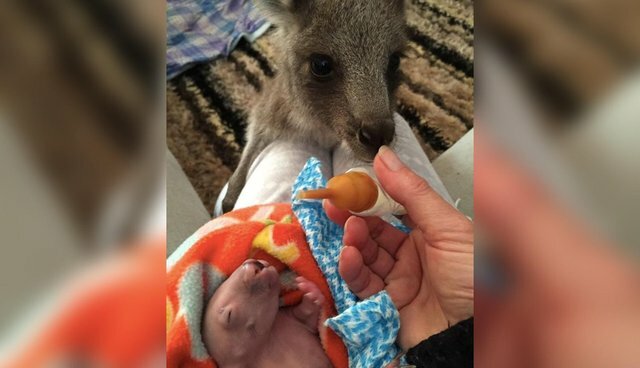 The man had pulled over to move a dead female wombat to the side of the road, and had found the baby, now named Digger, beside her. 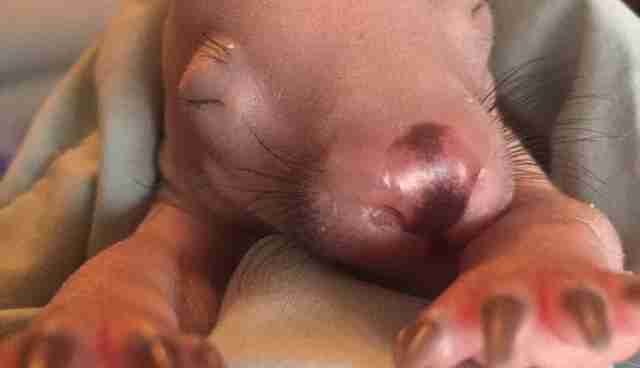 "If they hadn't stopped, Digger would have been run over too, or died from stress and cold," Milligan, who owns Wild About Wildlife sanctuary in Australia, tells The Dodo. 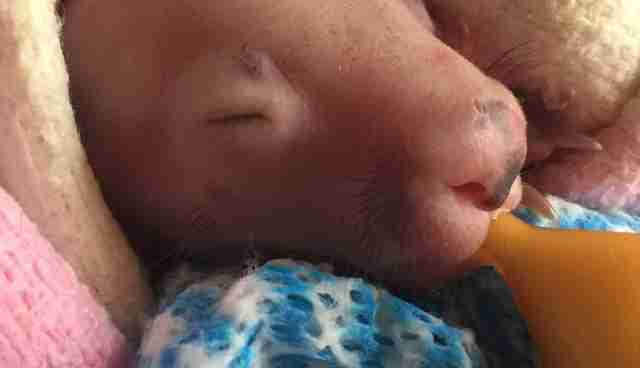 "He was very cold and grazed from the road," she says. "I thought he was going to be lucky to survive." But, little by little, he gained strength and even a bit of weight - at just a few months old, he's nearly a pound now. "Digger has a lot of affection to give; he is a little naughty at times but loves a tummy rub," Milligan says. Best of all, he has TWO moms ... sort of. 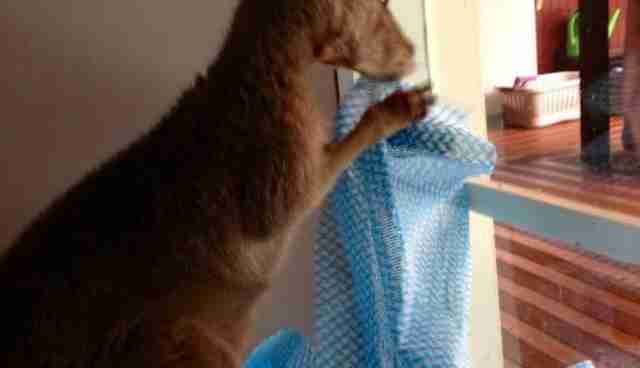 Max is an orphaned kangaroo who likes to help out with things around the house - like grabbing this blue-and-white blanket for Digger. "Max is his new mummy's shadow," Milligan says of their relationship. "What I do, he helps." On second thought, she explains, "Max does not help a lot but he thinks he does." 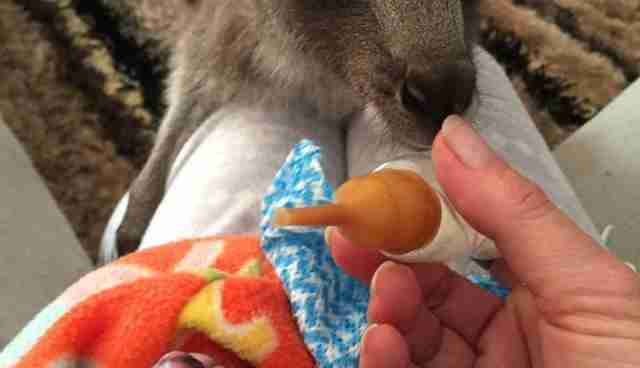 Here he is, for example, doing the very important job of feeding Digger. Don't worry, Max. We think it's the thought that counts. To learn more about Wild About Wildlife, click here.